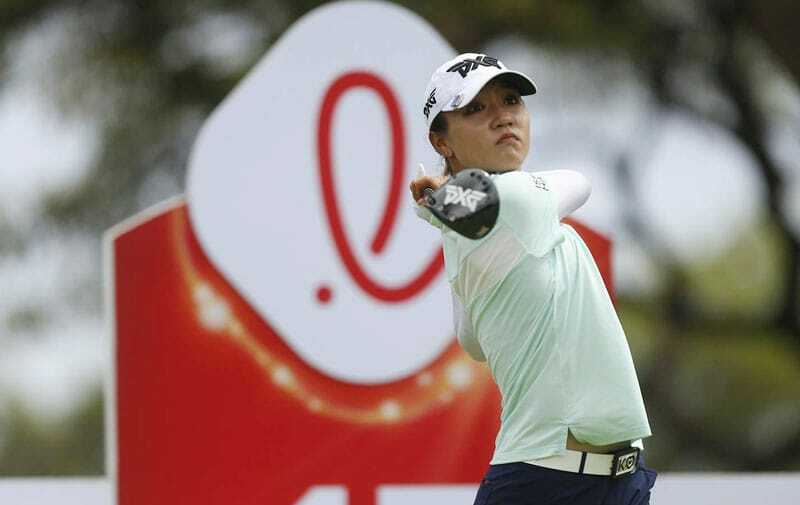 Henderson was cruising through her third round on Friday before a four-putt double-bogey on the par-3 16th lowlighted a late stumble that left her with a one-shot lead entering the final round. Henderson managed to grind through her first 15 holes on Saturday and returned to No. 16 with a two-shot cushion. Standing 191 yards away, she fired a 5-iron into the green and her shot settled inside of 10 feet from the pin. 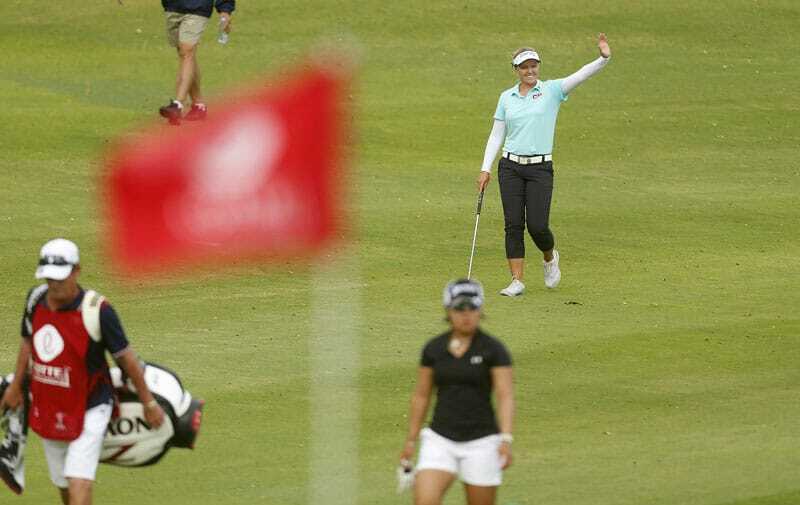 She then buried her birdie putt — giving a fist pump as the ball dropped — to effectively end the drama. “It was a really tough hole for me (Friday), but to hit that great shot in there to the back pin and then to be able to make that birdie, yeah, that was really huge,” Henderson said with the trophy beside her in the media tent. She remained in command the rest of the way and a par at No. 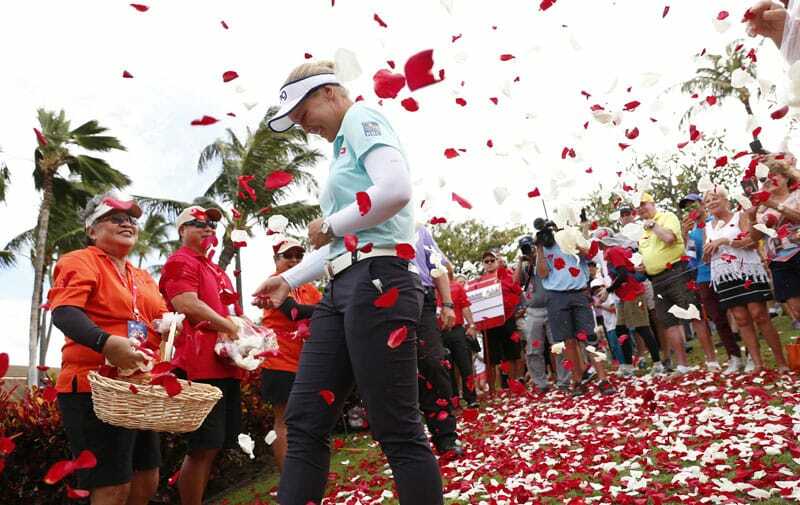 18 capped her round of 3-under 69, leaving only the celebration after closing out a four-shot victory at 12-under 276 and earning the $300,000 first prize. Henderson entered the week 14th in the world, claimed the lead with a 6-under 66 on Thursday and remained at the top of the leaderboard for the final 36 holes. The experience of five previous titles also helped ease her nerves while playing in Saturday’s final group. Henderson won her first title on tour at 17 with an eight-shot victory at the 2015 Cambia Portland Classic. 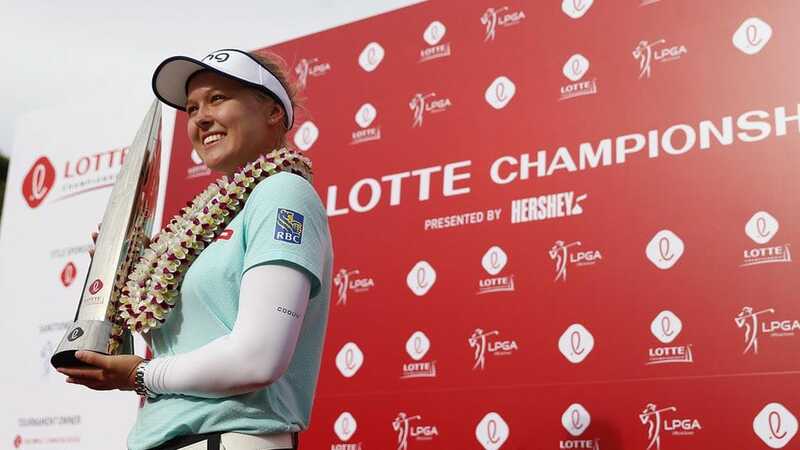 She became the second-youngest player to win a major when she captured the 2016 KPMG Women’s PGA Championship in a playoff with Lydia Ko. With two wins last year and Saturday’s victory — which she dedicated to the victims of the bus crash involving the Humboldt Broncos hockey team in Saskatchewan on April 6 — she’s now just two away from Sandra Post’s record for LPGA wins by a Canadian player in only her third year on tour. “To be in the final group I feel not as nervous anymore; (I’m) more confident in that position,” she said after holding off a pack that included world No. 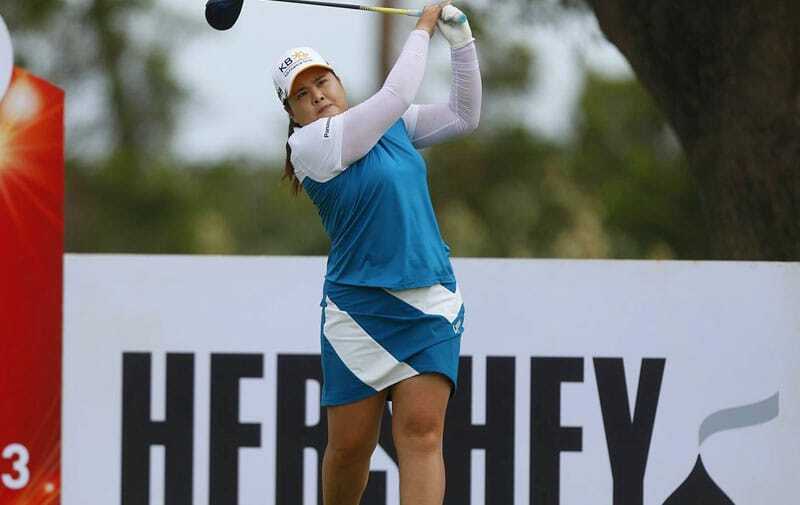 1 Shanshan Feng and No. 3 Inbee Park. “I also think because I’ve been playing such great golf this whole week it gave me a little bit (of) extra confidence.